MedSpa at PAAMC offers non-surgical treatments that improve skin on the face and neck. Microneedling helps to rejuvenate your complexion by creating tiny microchannels in your skin to stimulate collagen formation. This procedure provides great results when treating acne scars, lines, wrinkles and improving your skin’s overall texture. The Pollogen Legend uses radiofrequency energy to reverse mild to moderate signs of aging. This treatment reduces skin laxity by tightening the skin. Improves sagging skin on the jaw-line, neck, and face. We offer a non-invasive radiofrequency treatment that is highly effective at reducing fat deposits, cellulite, and loose skin. 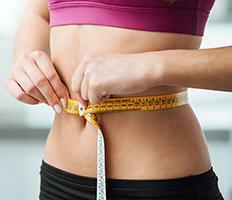 Our radiofrequency treatment heats fats cells below the skin, causing fat to shrink. This treatment is so gentle, you can do it on your lunch break! Our medspa is equipped with a stateof- the-art laser hair removal system that works on all skin types. Whether you need to get ready for a big event, want to reduce time spent shaving or eliminate ingrown hairs, our laser hair removal treatments can help. Treatment packages can be tailored to fit your needs.